Last Updated: January 16, 2019 | Subscribe to our weekly newsletter! Pool chemicals? Check. Floaties and pool toys? Check. Water? Check. Sounds like you’re all set for pool season! Or are you? Have you thought about safety? Even if you don’t have kids, pets, or neighbors who take liberties when you’re not home, a pool fence can be a lifesaver—literally. Not only that, you may be required to have one by law, or at least by your insurance provider whether you’re a homeowner or a renter. Before you take that first dive into the pool, make sure you’re doing so in a safe and legally compliant environment. Do You Really Need a Pool Fence? In a word, yes. If you’re thinking it’ll ruin the look of your backyard landscape, well, that’s definitely a possibility, let’s be honest. But concerns about aesthetics are outweighed by keeping your friends and family safe around your pool. Whether you have kids of your own, or you have friends or relatives who visit with their kids from time to time, they probably love splashing around in your pool. You want it to be fun for them, but you also want to keep them safe. Roughly ten people die every day due to unintentional drowning, and two of those are children aged 14 and younger. It can take mere seconds for a child to run outside, fall into the pool, and be unable to get back out. And by the time you realize they’re gone, it’s often too late. A pool fence is a secondary layer of protection (after the doors on your home) to keep kids away from the pool when no one is there to supervise them. 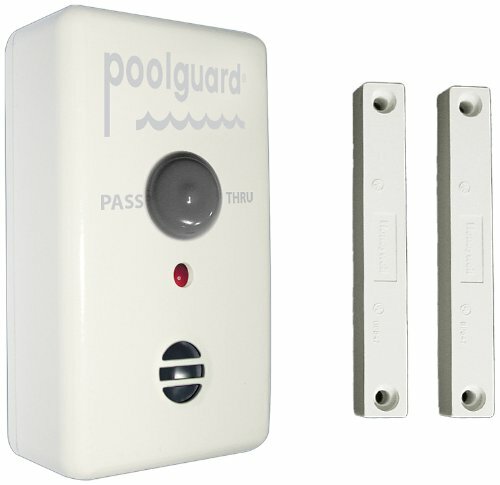 Toddlers may be thwarted just by the presence of a fence, but older kids can figure out how to open gates, so adding a third layer of protection in the form of a pool alarm is essential. Dogs and cats can instinctively swim, but they can often have difficulty getting out of the pool. Because they have to keep their heads tilted back to avoid getting water in their noses, they can’t see where the stairs are. They’ll try over and over again to lift themselves out via the side of the pool, until they finally exhaust themselves and can no longer stay afloat. If you have pets, if your neighborhood has feral cats, or if you also want to keep other animals like raccoons, squirrels, and opossums from drowning in your pool, consider installing a pool fence. Tip: Letting your dog swim with you can be a lot of fun for both of you. 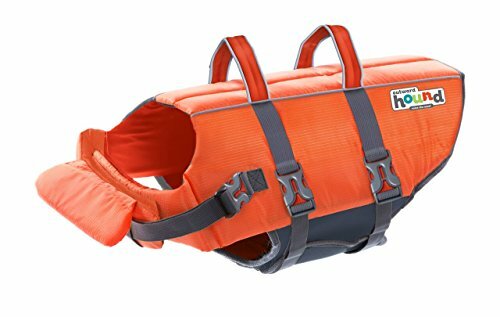 Consider getting him a doggie life vest If you click this link and make a purchase, we earn a commission at no additional cost to you. to wear while he’s in the pool. It will increase his buoyancy, which will help keep him from tiring in the water, especially if you have a breed of dog that’s not a strong swimmer, such as an English bulldog. Kids and animals aren’t the only ones to consider when it comes to pool safety. Anyone can slip on a small patch of algae on the deck, fall into the pool, and possibly injure themselves. And even an adult expert swimmer can drown if they hit their head, are knocked unconscious, and no one is around. This is of particular concern if you ever host parties where alcohol is served. A few too many, and one of your guests might decide it’s a great idea to jump into the pool fully clothed when no one’s looking. With their faculties dampened by alcohol, and weighted down by jeans and shoes, they may have trouble getting out of the pool or even staying afloat. Put that pool fence up and—unless it’s a pool party— keep the gate locked If you click this link and make a purchase, we earn a commission at no additional cost to you. so guests don’t wander into danger. So maybe you don’t have kids or pets, and you don’t host parties. That’s cool. But a pool fence may still be required by law where you live. There is currently no federal law that requires fences on residential pools. But the U.S. Consumer Product Safety Commission administers the Virginia Graeme Baker Pool and Spa Safety Act (VGB Act), which mandates certain safety requirements for public pools and spas. Many of the considerations in this legislation can also be applied to residential pools to help keep swimmers safe. Some states require pool fences, or at least some kind of barrier (like a pool safety cover), around residential pools. For example, the Washington State Department of Health has a regulation that specifies how high the fence must be, that it must have a latch, and that it have an alarm. Check with your state to learn whether it has any such laws to ensure you’re following them. If you’re not in compliance, you may be risking fines or even closure of your pool until it’s brought up to the state’s safety standards. Some cities have laws that differ from the laws of the state they’re in. However, the city of Scottsdale, Arizona, requires residential pool fences regardless of the age of any residents. In fact, the city also states that their “current swimming pool barrier requirements apply to all single-family residential swimming pools, spas and hot tubs constructed after July 20, 1995,” and “there are no exemptions for households without children.” Not only that, but you need a permit before you can put up a pool fence. So even if you know your state doesn’t require you to have a pool fence, it’s a good idea to check your city’s laws just to be on the safe side. Maybe neither your state nor your city requires you to have a pool fence. Great! But what about your insurance provider? It may not matter whether you own or rent your home. Some insurance providers may require you to have a pool fence in order to reduce liability claims. They may even specify what type of fence you need to have. If there’s an accident in your pool, and you didn’t have a fence as required by the provider, they may not pay out for your claim, leaving you to cover any resulting costs out of pocket. Even if your provider doesn’t require a fence, or even a change in your coverage, you may still want to increase at least your liability coverage, just in case. If you have a pool, or you’re thinking about building one, check with your insurance provider to make sure you remain covered. If you rent a home with a pool, it’s possible the landlord’s homeowner’s insurance will cover any damage to the pool, like a tree falling into it during a storm. But injuries that occur in or around the pool may be your responsibility, and would fall under your liability coverage. Also, if the landlord’s provider requires a fence, and the landlord hasn’t put one up, a pool-related accident could lead to a lot of trouble and expense for you. Discuss this with your landlord to make sure you and your family are protected. On the other hand, if you rent a home and the landlord allows you to put an above ground pool in the back yard, you may be fully liable for any damages or accidents that occur as a result of or related to that pool. Because an above ground pool is technically not permanent, the installation of a pool fence will most likely be your responsibility rather than the landlord’s. Again, discuss the situation with both your landlord and your renter’s insurance provider to make sure everyone is covered, and that you’re following all the rules. It can prevent a lot of headaches and heartaches later. Note: The types of pool fences required by laws or referred to in insurance policies are the kind that surround the entire pool area. This is different from an above ground pool fence, which is mounted on top of the pool wall itself. Just like a fence you put around your back yard, pool fences come in a variety of materials and price points. The easiest and least expensive option If you click this link and make a purchase, we earn a commission at no additional cost to you. , a mesh pool fence isn’t the most reliable choice. Though the mesh panels are connected to stationary posts, they’re pretty easy to push down. In addition, they may not be accepted by a state or city that requires pool fencing. This is a good option if all you want to keep out of your pool area are small animals like squirrels. Even then, they may not be enough. Mesh fences are usually available in DIY kits that don’t require professional installation, contributing further to their affordability. It’s good enough for plumbing, so why not use it for a pool fence? The hardened plastic is strong, and can stand up to the elements quite well, though not as well as aluminum. Being made of plastic, though, a PVC fence can be made into just about any shape or size. In addition to slatted designs, they can also be solid, offering more privacy than other types of fences. You may need professional installation, though. Just like the type you see on back yards and even around businesses, chain link is an affordable option for a pool fence, but it’s not the safest option. Chain link fences are the easiest to climb, meaning children and small animals could easily make their way into the pool area. Better to invest in something that creates a more solid barrier. If you do choose chain link, you can install it yourself if you’re handy with concrete and wire cutters. Usually powder-coated, this type of fence is highly weather resistant. They require less upkeep than other types of fences, and can be more aesthetically pleasing with numerous ornamental designs available. Heavy and durable, this type of fence can last for many years. But that long life will require upkeep. Exposure to sun and rain will eventually cause the fence to rust, which means you’ll have to sand and paint the fence from time to time to prevent it from completely rusting and falling apart. Sturdy and fairly weather resistant, this is a good choice if you can set the posts in concrete. If you lack that skill, you can hire a professional to install the pool fence for you. Consider choosing a slatted option If you click this link and make a purchase, we earn a commission at no additional cost to you. rather than solid. While solid fencing does create an impenetrable barrier around the pool area, it also obstructs your view of the pool. You want to keep danger contained, but you also need to be able to see the pool just in case all your safety measures fail, and a child or animal finds their way into your pool despite your best efforts. This can also be an aesthetic concern. Part of the joy of having a pool is being able to look over the sparkling, clear water. While offering a lot of versatility in style and design, wood also requires more maintenance. Whether it’s left natural, stained, or painted, you will eventually have to clean, strip, or repaint the fence after it’s taken a beating from sun and weather. Wood can be an economical choice, though. Less expensive than other materials, you can surround a larger pool at a lower cost. But as with vinyl, it’s important to avoid a solid fence design to allow an unobstructed view of the pool. Probably the most expensive type of pool fence, glass can also be the most beautiful while remaining functional. A glass fence will provide a nearly unobstructed view of your pool from any part of your yard, and vice versa. If you live in an area that sees any kind of severe weather, though, it’s not be the best choice for your pool. If you want an aluminum, wrought iron, or steel fence, you have a few styles to choose from. This choice is not just about aesthetics, but what’s going to work best for your pool and family. Exactly as its name suggests, the top of this fence is flat. Vertical bars are connected by horizontal bars at the top and bottom of the fence, and the bars do not extend past the top bar. It’s the most basic pool fence style. This type of pool fence has an additional horizontal bar along the top of the fence. It’s purely decorative, and sometimes ornamental elements are added between the two top horizontal bars. If you have toddlers, this may not be the best option. That additional bar at the top is practically an invitation to try to climb the pool fence. Adding a bit of aesthetic interest, this style of fence has horizontal metal bars that, instead of ending at their tops or meeting a flat top, create a loop. While it may sound like a flimsy option, we’re not talking about something like chicken wire here. The wire used on this type of pool fence is usually heavy duty steel, and more like slender cables than wires. A wire fence is usually more weather resistant and durable than the other metal styles. You may be thinking, if you’ve seen one pool fence, you’ve seen them all. Granted, they’re all similar in that they perform the same function. 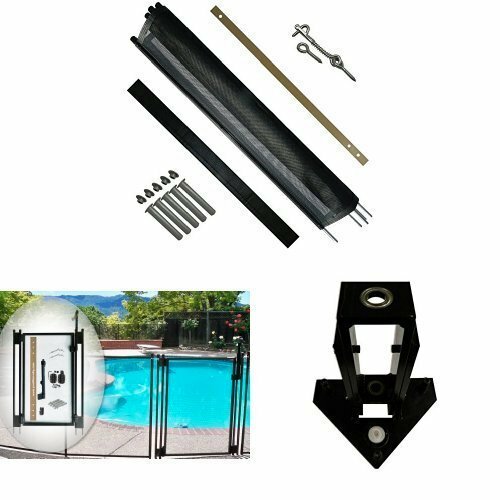 But pool fences do have a few features you’ll want to take into consideration before you install one. If your main concerns are toddlers and pets, a 4-foot fence will probably do the job quite well. But remember, your child is going to keep growing, so you may want to invest in a higher fence now rather than having to install a second one later on. And remember to check your state and local laws, which may have minimum height requirements. It would make no sense to install a pool fence that your children or pets could easily climb under. Not to mention other animals like raccoons and squirrels. When you install your pool fence, make sure there’s little to no clearance between the bottom of the fence and the ground. If you choose a fence with vertical slats of wood or iron bars, you must ensure the gap between those pieces is narrow enough that a child can’t squeeze through. With this kind of fence, it may be more difficult to keep animals out, though, especially small ones that can squeeze through very narrow spaces. Keep this in mind if you have cats or small dogs. Some fences are available as kits you put together yourself. If you go that route, make sure the method for connecting the fence pieces is sturdy. Flimsy or loosely fitted pieces defeat the purpose of putting up a pool fence in the first place. 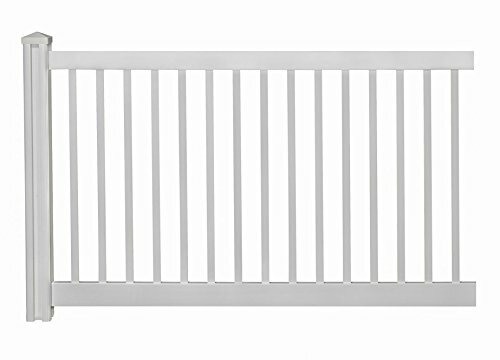 While your child is still crawling, pretty much any kind of pool fence will keep them from entering the pool area. But once they start standing and walking, kids become little mountain climbers, notorious for escaping from play pens and working their way over baby gates. Make sure the fence you choose isn’t providing your kids with makeshift hand and foot holds. For example, to a kid, the second, decorative horizontal bar along the top of a double-top fence is a way for them to hoist themselves up. Aside from gaining access to the very area you’re trying to restrict, children can also hurt themselves by climbing and possibly falling off a pool fence. Take all of this into account when choosing your fence. 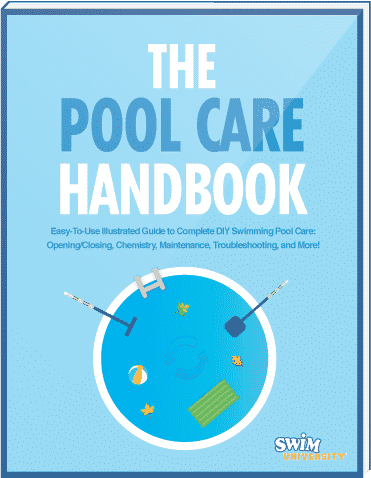 So are you really ready for pool season? You’ll feel a lot more prepared once you have a pool fence up, and can rest assured that you’re taking steps to keep kids, animals, and the occasional clumsy adult safe from pool-related mishaps and dangers. It’s simply a matter of choosing the best type and style of fence that will suit your needs and your landscape, and adding a pool alarm when and where necessary. Then you’ll be able to enjoy your pool with a lot less worry.